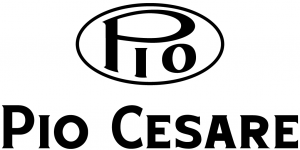 Pio Cesare, established in 1882, was one of the very first producers to believe in the potential and quality of the great wines of Piemonte and to export to the UK.The winery is now run by fifth generation Pio Boffa, whose ceaseless devotion to the terroir and wines of the Barolo region guides his choices from the vineyards to the cellar. He applies a ‘minimal intervention’ philosophy to wine making, creating wines that are ranked among the world’s best wines year after year. The grapes are sourced from family owned vineyards in Serralunga d’Alba (Ornato), Grinzane Cavour (Gustava), La Morra (Roncaglie) and Barolo-Novello (Ravera). The balance of the grapes comes from other exclusive vineyards owned by growers, who have been providing grapes to the Pio Cesare family for generations. Grapes are hand-picked, gently pressed and fermented at 25° to 26°C. Vinification takes place in stainless steel tanks, with skin contact for 20-25 days. The wine is then aged in mid-toasted French oak for three years with 70% in 20-50 hectolitre casks and 30% in barriques. The 2011 vintage was characterised by a very early harvest and lower than normal yields. Harvest took place early thanks to above average April temperatures which led to all phases of grape development (budbreak, flowering, colour change and harvest) taking place at least two, and more often than not three, weeks ahead of typical yearly averages. Ruby red in colour with excellent balance and a wonderfully long length. Full of dark cherries, smoke, savoury herbs and a hit of white pepper. Hints of licorice, orange peel and lavendar add an intriguing exoticism to this classic Barolo. Paired with slow cooked oxtail, rosemary potatoes and autumnal root vegetables by Galvin at Windows. Equally delicious with steak tartar, porcini dishes, duck, guinea fowl, veal, braised beef, cheese and - of course - lashings of truffle!